Dr. Dennis Davis directs the Eastern Kentucky University guitar program. 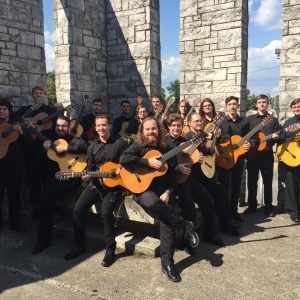 The EKU guitar program is located in Richmond, KY and is unique for its tripartite focus on classical, jazz, and contemporary styles of guitar. EKU Student Degree Guitar Recital: Benjamin Bunch, Senior Recital: April 15, 2019, 7:30PM, Pearl Buchanan Theater.